This past week, Kīlauea Volcano’s summit lava lake level dropped out of view. 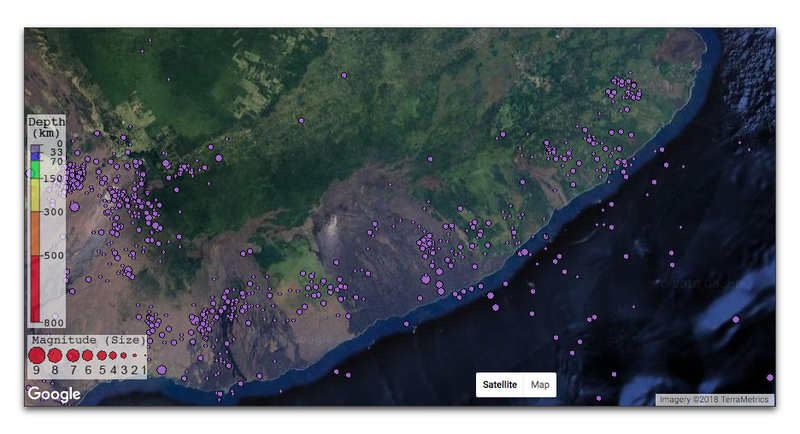 On Kīlauea’s East Rift Zone, the 61g lava flow is no longer active. Episode 62 fissures on the lower East Rift Zone are expected to continue erupting intermittently. Mauna Loa is not erupting. Rates of deformation and seismicity have not changed significantly over the past week, and have decreased compared to earlier in the year. Fifty earthquakes were reported felt in Hawaii during the past week. Many were aftershocks associated with the magnitude-6.9 earthquake on May 4. Additional felt earthquakes should be expected in the coming days to weeks.